We are not surprised here at AY as we know how much our guests benefit from these experiences. 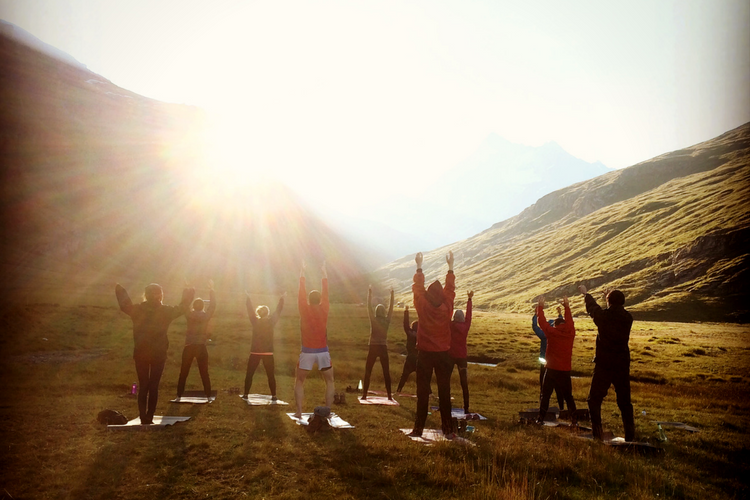 Here are our top 10 tips on how to make the most out of your yoga retreat weekends so that you feel rested, restored and revived. You have given this weekend of relaxation and cleansing to yourself because you need a little you time. Time out from the day to day. Space to reflect and contemplate life. That means getting away from everything – including technology! Sadly it comes with you in the form of your phone. Facebook, Instagram, texting and emails are all too easy to stay online which doesn’t really help you switch off and relax. What we suggest: If you can’t switch off for the whole retreat, try switching your phone off until 5pm, if you need to check in with home or, dare I say it, check work emails! I know I know, this is hard, right? We suggest that you try to take a break from it for a few days. Simply because you are on a retreat to slow down and relax, but coffee is an upper, and then downer, playing havoc with your blood sugar levels and adrenal glands. What we suggest: Instead of going for the coffee, go for a tasty herbal tea and let that feeling of sleep come if it needs to. The above leads me nicely onto this point. Listen to you body! Don’t push through tiredness if you are feeling like you need to curl up in a ball and sleep all day! Just do it. No-one will judge you. The yoga will connect you to your body and your true essence and will tell you what you need most on the retreat. What we suggest: Listen to your body and what it is telling you. If it is to go for a run, go for a walk, chat to a friend, take a bath, go to sleep, do it – just listen to your body as it tells you all you need to know. A retreat is a time for you, a time to connect to yourself and find your own innate inner wisdom and see if you are listening to what messages it has been sending you in your day to day, so that you can make the changes when you get home. If you travel with a friend it can often end up being a chat-a-thon! What we suggest: Of course come with a friend, partner, parent or sibling or a group of friends, but for your next retreat try one on your own and see how different it may be. The yoga teacher will teach mindfulness during the retreat and in the yoga class, but it is also important to be mindful of everyone in the shared spaces. Everyone has come on a retreat for different reasons and no-one knows what those reasons are unless they are willing to share, so it’s important to be respectful of a group dynamic and be aware of everyone around you. What we suggest: Be sensitive to everyone in the group and they will be sensitive to you too. A retreat is a cleansing experience, cleansing the mind and the body through the yoga asana, pranayama (breathing techniques), meditation, silent walks, country walks and the nutritious food. 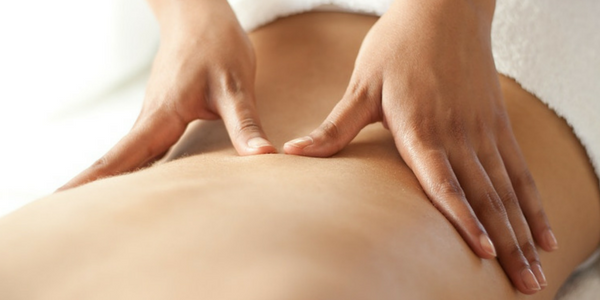 Another aspect of a retreat is massage treatments, to help release toxins in the body and release any aches and pains. A full MOT please! What we suggest: Do it! You are away on this retreat to look after yourself so just go for it and feel 110% amazing by the end of it. Getting outside and connecting to nature can be the most therapeutic thing you can do. Just changing your environment, staying in a new place, in the countryside, no noisy roads or concrete, this can be just the tonic you need. How amazing do you feel when you see that sunrise or sunset? It is the most magical feeling in the world. And it’s free. What we suggest: Join in on the silent walk or afternoon walks or outdoor activities on retreats. You don’t have to but being in nature is very healing, especially if your day to day is rushing from A-B in the city. Find time on the retreat to have some quiet time. On our retreats this happens on our silent walks in the morning. There is something really special about waking up and being in a group in silence straightaway. That mutual understanding is a beautiful thing! What we suggest: Take time out to be still. If there is no silent walk, then enjoy taking yourself away for a quiet moment, venture outside, and take in the view, or simply relax in your room. By this we mean all of the yoga that the teacher offers you. Some people say they don’t like meditation. So just try it! Ask yourself, “Why don’t I like meditation?” If sitting still is boring or hard, just give it a go and see how you feel by the end of the retreat. A retreat often gives you what you need, so listen to these signs if you are struggling to find joy in what the yoga teacher is teaching you. What we suggest: Try it all. If you don’t understand certain aspects then ask the yoga teacher to explain more in depth for you. They are there to help you on your yoga journey! 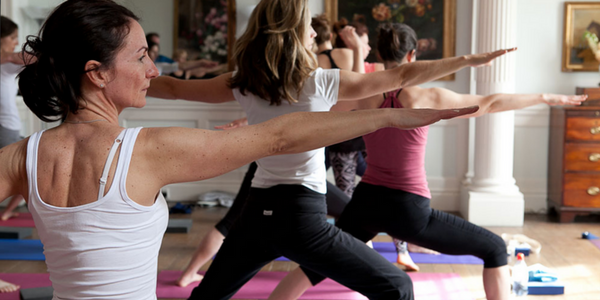 Retreats are created with respect and love from the retreat holders, the gate keepers to your yoga journey. Things come up for everyone on retreats as the yoga, the food, the space created away from the day to day allows this to happen. If you have never been on a retreat before – know that this happens – and know that the retreat team looking after you know this and they are there for you, so always go to one of the retreat tams and talk about anything you need to feel better. That’s what they are there for. What we suggest: Always know that you are being looked after with love and support, and that if anything comes up for you always know that the yoga teacher and retreat team will be able to support you. 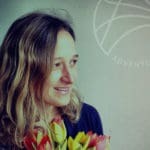 These top then tips are written by Michelle King, Founder and owner of AdventureYogi a retreat company that as been running retreats for 10 years. To find out more about their retreats go to the calendar page here. To find out more about Michelle go here.